Urban Stone Music Group is an independent record label and production company that caters to Independent and signed recording artists. We are the new approach to artist who want creative control of their projects and are disillusioned by the politics involved with major labels. The new generation of music-makers are following in the footsteps of pioneers such as Mackelmore and Adele who are proving that artists of today no longer need the financial backing of the major record label. By investing in their own careers, such artists are able to make it to the top strictly based on their fan base and music alone. The artist remains in control with a team of people who understand your branding, your fans, and your dream. How Did You Hear About Us? What Made You Join? You need to be a member of E.FM Radio to add comments! "Checking in on my favorite...you. How are you?" "So happy that you joined! WELCOME Ed!!!!" The history of the Butlers/Raw Soul is dense, but for all of us music nerds, that's normal. It is not totally clear what year the Butlers actually formed but they released their first single in 1963 on Liberty Records. That single was "She Tried To Kiss Me" and another single followed on Guyden entitled "Lovable Girl." 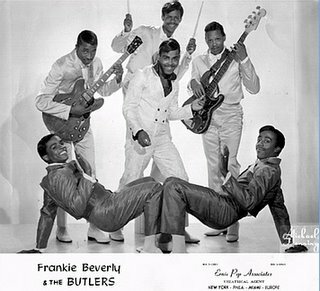 After the Guyden single the Butlers took a break not recording another record until the single "Laugh, Laugh, Laugh" was released on the Phila label in 1966. 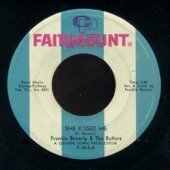 The group also backed Charles Earland and Jean Wells on one Phila single ("I Know She Loves Me"). harder to come by then the "Love (Your Pain Goes Deep)" single. The true history become a bit blurred here as the AMG biography states that the Butlers last record was released on C.R.S. in 1974 (". 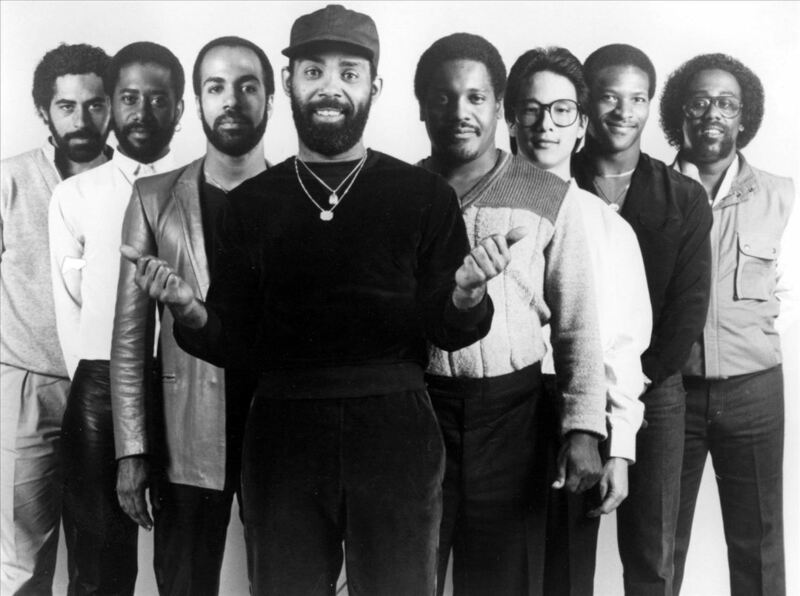 However, between 1971 and that single, Frankie Beverly formed a group called Raw Soul and released a number of singles. Some of the songs recorded by Beverly during this period are "While I'm Alone," "Open Up Your Heart," (both on the Gregor label) and "Color Blind." "Color Blind" was released by the Eldorado label and rerecorded by Maze. Beverly's big break came when Marvin Gaye asked Raw Soul to back him on a tour. Gaye helped Beverly/Raw Soul get a contract at Capitol. Beverly decided to take the group in a different direction, a name change occurred, and Maze was created. The above isn't the most complete history of Beverly but hopefully someone will know a way to get in touch with the man or his management because a comprehensive pre-Maze history needs to be done on Frankie Beverly (his real name is Howard, by the way). Below you'll find every Frankie Beverly (pre-Maze) song available to me right now ("Color Blind" will be up soon). 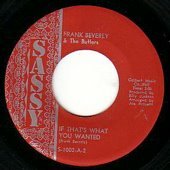 If you have a song that is not included below, shoot it over to funkinsoulman (at) yahoo.com and it will go up in the next Frankie Beverly post (later this week--highlighting Maze). Also, if you have any more information please share your knowledge. The Butlers material has been comp-ed sporadically (usually imports) but the entire Maze catalog has been reissued and is available. 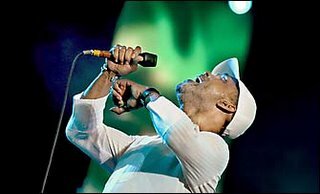 Frankie Beverly is one of those cats that has lasting power. He started in the music business doing a tour with doo wop group the Silhouettes and then formed his own group called the Blenders. 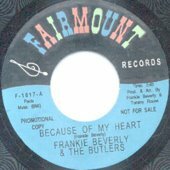 The Blenders never recorded a single, Beverly wouldn't appear on wax until forming the Butlers a few years later. Along with Beverly, the Butlers included Jack "Sonny" Nicholson, Joe Collins, John Fitch, and Talmadge Conway. "Ten Percent" and the Intruders' "Memories Are Here To Stay." While Maze is a phenomenal group, Beverly's work before that group will always stand out as his best (imo). 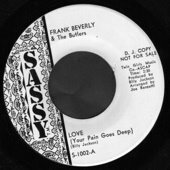 The Butlers produced tunes that most Northern Soul fans would kill for and Raw Soul gave the funksters something to pursue. If, by chance, you know of a way to get in touch with Frankie Beverly or his management, please drop me an e-mail. It would be absolutely great to do an interview with him about his pre-Maze work. He's still playing out, most recently doing a New Year's Eve show in Atlanta. Edie2k2 created this Ning Network.